We’ve recently learned that the next-generation of BMW M3, know as the G80-generation, will be the first-ever M3 to get all-wheel drive. Whether as a separate model or not, the next M3 will have the ability to power all four wheels. It’s a first that might draw the ire of some enthusiasts but will likely be welcomed by the majority, for its impressive duality, as evidenced by the new F90-gen M5. But if BMW is going to give the M3 all-wheel drive, we see no reason why a wagon variant shouldn’t be made. Just as BMW has never made an all-wheel drive M3 before, it’s also never made an M3 wagon. While the Bavarians have toyed with the idea before, even going as far as to develop an E46 M3 Touring prototype, a long-roof M3 has never made it to production before. So since BMW is adding a new first to the M3, with the introduction of all-wheel drive, why not add another? The two also just work well together. Adding all-wheel drive to the M3 adds a sense of pragmatism it didn’t previously have. With xDrive, an M version or not, the BMW M3 becomes a more all-weather, all-season sports car, in the same vein as the Audi RS4 Avant. That sense of pragmatism lends itself well to the practicality of a wagon. It’s no surprise then that the aforementioned Audi is both all-wheel drive and a wagon. 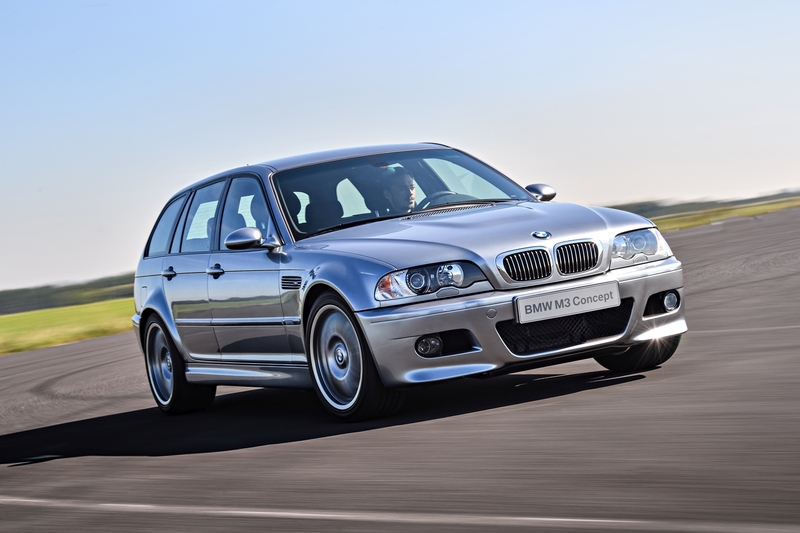 BMW might claim that adding a wagon variant to the M3 might rid it of some of its motorsport DNA, heritage or whatever other sentimental jargon BMW wants to use. However, the M3 already lost some of its connection to the original homologation racing-special E30 M3 when it ditched the coupe body style and spawning a fraternal twin in the BMW M4. If BMW is willing to create an entirely new model for the coupe version of the M3 and give it a new name, when the original M3 was only a coupe, it’s already strayed from the nameplate’s legacy. So what’s the harm in a wagon version? A G80 BMW M3 xDrive Touring would be an incredible thing to own. Imagine the performance, handling and dynamics of an M3 but with the ability to drive all year round, in almost any sort of weather without worry and be able to carry your entire family, the dog and a bunch of luggage? There’s a good reason why so many fans call for BMW to make an M3 wagon, as that exact proposition is almost too good to pass up. So if BMW is going to build an all-wheel drive M3, which it is, then we see no reason why it should stop there. Bring the BMW M3 Touring. It makes too much sense to not.